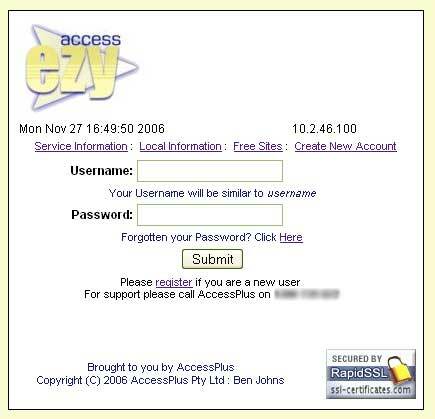 UserLogin: The first screen presented to the user when they connect and attempt to go to a website (their session is hijacked by the Access Controller). ErrorGeneration: Errors are generated on a per screen basis. CreateUser: Since the new user does not have an account yet, they can click on 'Create User' and make their own account. 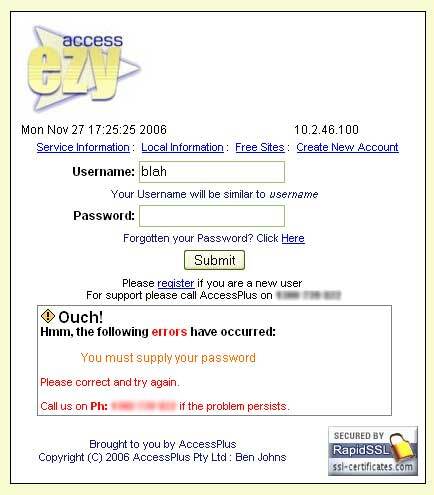 UserStatus: Once a user has logged in, or has created a new account they will be presented with a screen that shows the status of their account. 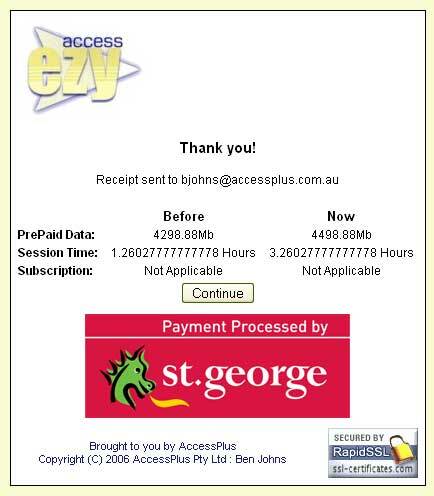 The image provided here shows a "transient" account that has 1.26Hrs of Session Time and almost 4.3Gb of data remaining. A new user will have zero values, and a "subscriber" will have an expiry date instead. 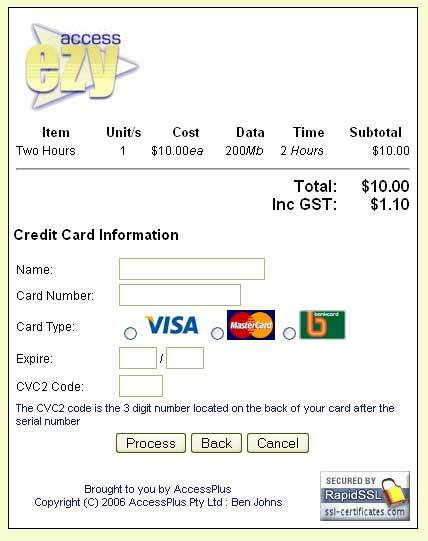 A voucher user will have both a Session Time and a Expiry date. 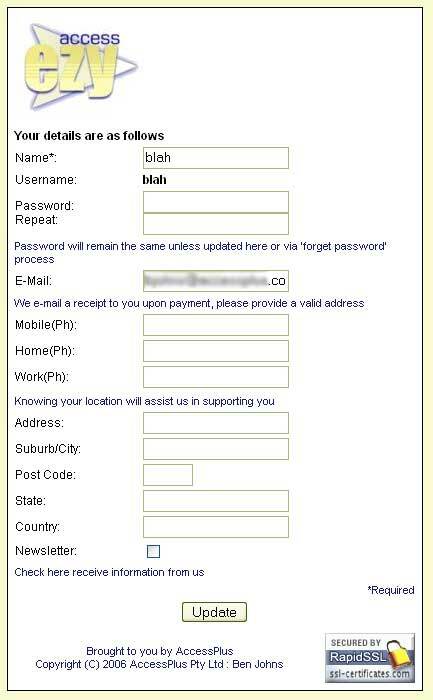 UserInfo: Optional user information and be viewed and edited by the user via the UserInfo screen. 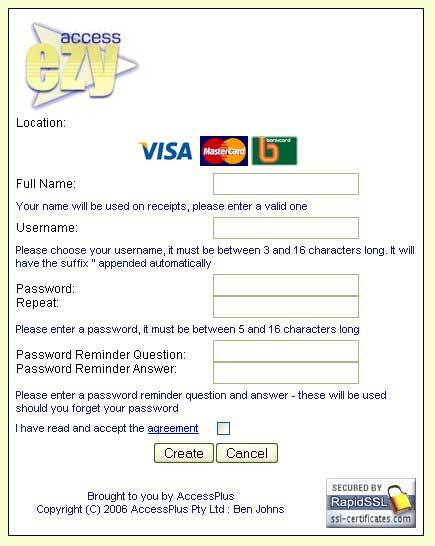 This is mostly used for subscriber/longer term accounts. ProductList: This screen lists the available products for the given location. 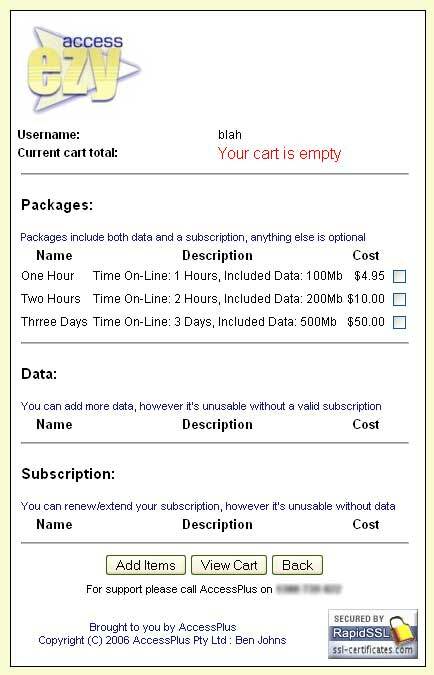 These are separated into categories; Packages are a combination of Data/Time, Data is just that, and Subscription is time. So they can purchase a combination or pick and choose their own. CartList: Selected products are added to the users cart. 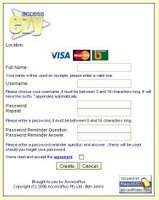 Payment: Once a user has completed selecting various products and updating their cart, they will then 'checkout' using the payment screen. 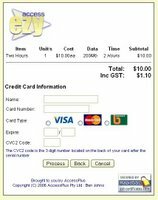 PostPayment: After a successful payment they are presented with a before and now summary screen. Various other features not listed.